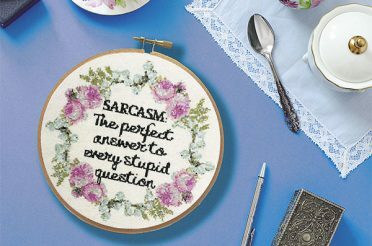 Why do cross stitch pattern design? 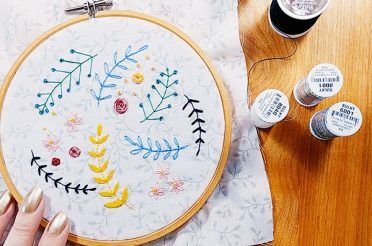 It can be daunting to try and design a cross stitch pattern for the first time, especially if you’ve seen how complicated some patterns are. 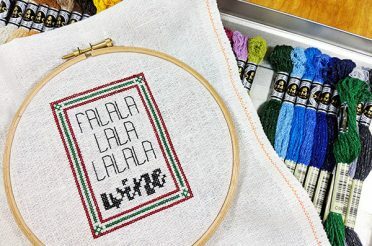 A cross stitch pattern chart is usually made up of symbols that represent each colour on graph paper, but some are so complex it looks like a logo machine threw up all over the paper. It’s understandable that many stitchers wouldn’t consider making their own pattern. But there are many different methods to make your own pattern (either for yourself or for kids) – hopefully this article and video will encourage you to give it a try and stretch your creativity. 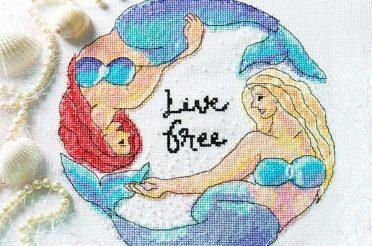 There are two main ways you can do cross stitch pattern design – by hand and using software. Designing by hand is quite simple – you can draw your image onto a sheet of graph paper with a pencil (or trace it or use transfer paper). Then you’d colour in the individual squares of the graph paper to represent each stitch (and you can use coloured pencils or felts if you want to use more than one colour in your pattern). If you’re wanting a more detailed pattern, you can either use larger sheets of graph paper or graph paper that has more squares per inch. 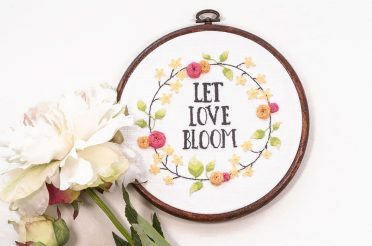 It’s totally up to you as to how big or how complex you want to make the pattern, that’s the beauty of designing your own cross stitch pattern. It’s specific to your needs, so it’s as customizable as you want. If you’re doing this with kids, you can get them to draw out their designs themselves onto the graph paper, or transfer existing drawings to graph paper. It’s a great way to get them thinking creatively, and they can use their stitched pieces as patches for bags or clothing, name tags, etc. One major downside of designing your patterns by hand is it’s more difficult to use a big variety of colours and make your pattern easy to read. It’s also harder to translate existing images like family photos to a pattern by hand. To get a detailed pattern drafted up will take more time than using software. It’s not impossible at all, it just will take more time and effort to chart up a more complex pattern. You can also create a pattern by hand by photocopying an image onto a sheet of clear acetate (like you’d use for overhead projectors, you can get sheets of it from most stationary shops or copy centres). 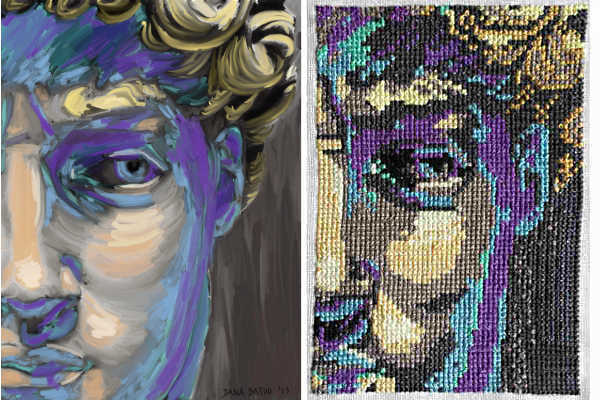 I did this for my first pattern I designed – I colour copied my “David” painting onto acetate, and bought floss in the main colours by holding the colour copy up to the individual skeins in the shop. I then held the acetate copy in front of my embroidery hoop. I’d stitch a few crosses in one colour, put the acetate over the top and see if I needed to change the colour at all, stitch a few more stitches, etc. It took me about a month to do it this way, but I did end up with a not-too-horrible pattern. I was recording my stitches by hand in the iPad app Cross Stitch 2 Go (made by Ursa Software, the same company that does MacStitch and WinStitch). Here’s a picture of the painting I used and the finished piece – the stitched piece is not amazing, but it’s not bad for my first attempt at designing and my first stitched piece in about 20 years. Now when I design my patterns, I use cross stitch software rather than doing it by hand. 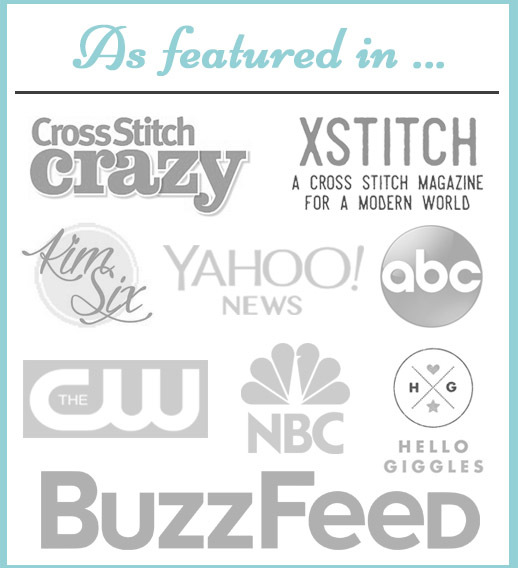 I use the MacStitch/WinStitch software (depending on whether I’m using my Mac or my PC). I chose MacStitch as there are fewer good software programs for Macs as there are for PCs, and I’ve found it to be a great program. There are lots of other software programs available too (a popular one for PCs is PC Stitch). 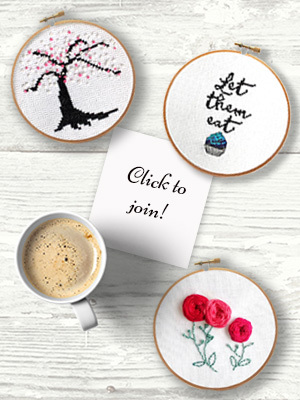 There are some free online cross stitch pattern generators, but these options are usually very limited and the colour matching is not accurate. They’re good for designing simple things like some text (such as this text generator called Caption Maker), but for images I’d really recommend spending a few dollars and getting real software. The last thing you want to do is spend hundreds of hours stitching a treasured family portrait that you loaded into a free software only to have all the colours tinted green because the colour matching capabilities aren’t good, or losing important details in the faces. 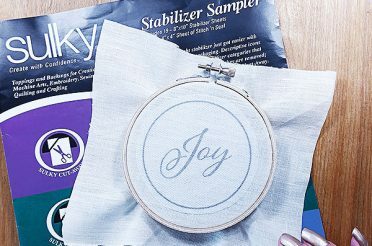 Many of the software programs for purchase have a limited-functionality free demo version you can download to try it out (like MacStitch has a fully-functional free demo, you just can’t print or save any patterns in the demo). If you’re thinking about making more than two or three patterns, the software can significantly save you money over time. Of course, you need to make sure you’re only using your own images to make patterns from. Any image that’s not created by yourself (from online such as Disney characters, images and text from book covers, etc) are covered by copyright and you’d have to get permission to use them, even if the pattern is only for your own personal use. 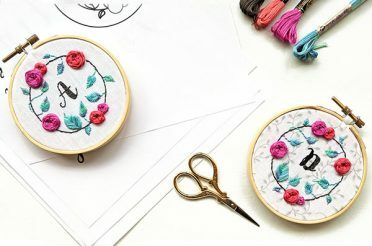 Most of the time you’ll get an enthusiastic “yes” if you ask to use an image in a cross stitch pattern, but it is important to always ask first before putting time into a design. Here’s the short video about how to use software to design a cross stitch pattern. There are also a few tips about how to do the design by hand. 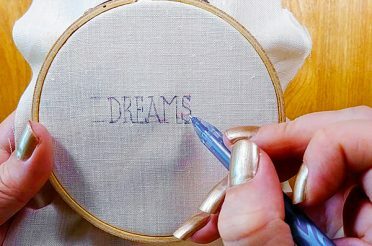 Want to learn how to do a simple cross stitch pattern design? 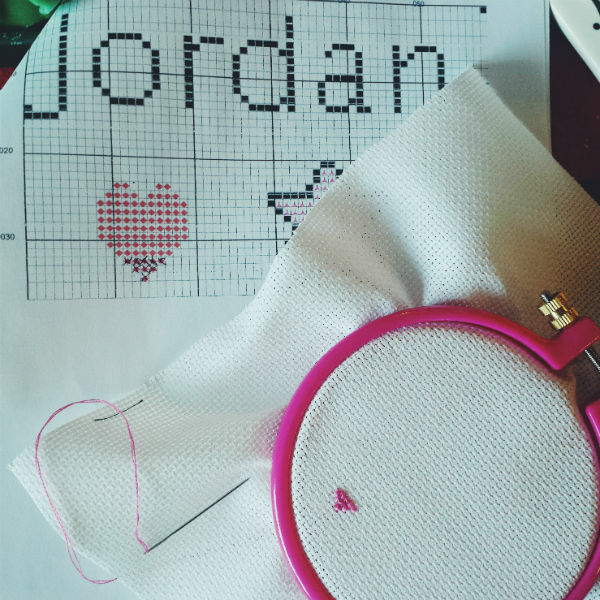 A quick tutorial for pattern design by hand or using cross stitch design software. hi! do you have macstitch standard or premium? also do you think its worth it to pay for the updates for life? thanks!